Modern software architecture is based on modularity. Applications are interconnected with many services. Each node can be plugged into or out of the system. These modules use application programming interfaces (APIs) to communicate with each other safely and conveniently. API used to be a tech term, but recently it has taken over the lingo of strategic management. Consultants talk about the "API economy" where businesses and customers interact in a similar way to applications and services. The pressure from retail customers for a perfectly designed, effortless, and enjoyable digital experience, similar to the ones delivered by tech companies (like Google, Apple, or Amazon) forces traditional institutions from the financial sector to innovate by opening their ecosystems to startups. According to Eurostat, 51% of European adults use online banking. Two-thirds of global customers would share more data with banks in return for new benefits, 71% would use entirely computer-generated support for banking, and 40% of Gen Y respondents would consider banking from Google or Amazon, according to an Accenture study. In 2018, two pieces of legislation entered into force. The Second Payment Services Directive (PSD2) and UK's Open Banking initiative. Both of them introduced new rules that promote API strategies in the financial sector. Companies were obliged to share customer data with regulated third-parties if the customer expressed a required consent. This created an environment for open banking. Boston Consulting Group estimates that the trend has the potential to add to or erode retail-banking revenues by 15% to 25%. Banks, insurance, and investment companies have to adjust. The best solution is building ecosystems with the use of API. 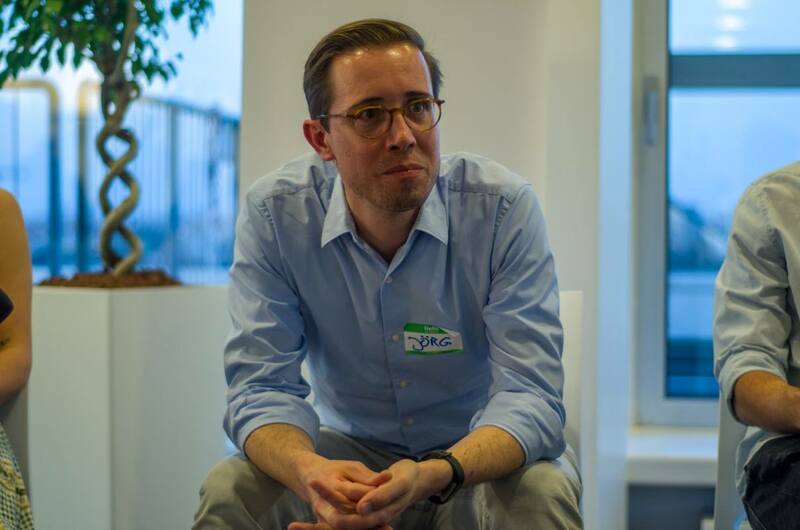 Open APIs such as Open Banking presents an incredible opportunity for businesses and consumers, said Francesco Simoneschi, the Co-Founder and CEO of TrueLayer a data API provider for finance. Ultimately, we want to be Europe’s leading provider of financial APIs and the biggest player in Open Banking infrastructure. Beyond Europe, we’ll study how Open Banking develops in markets such as Australia, Singapore, Canada, India and the US before making firmer plans. 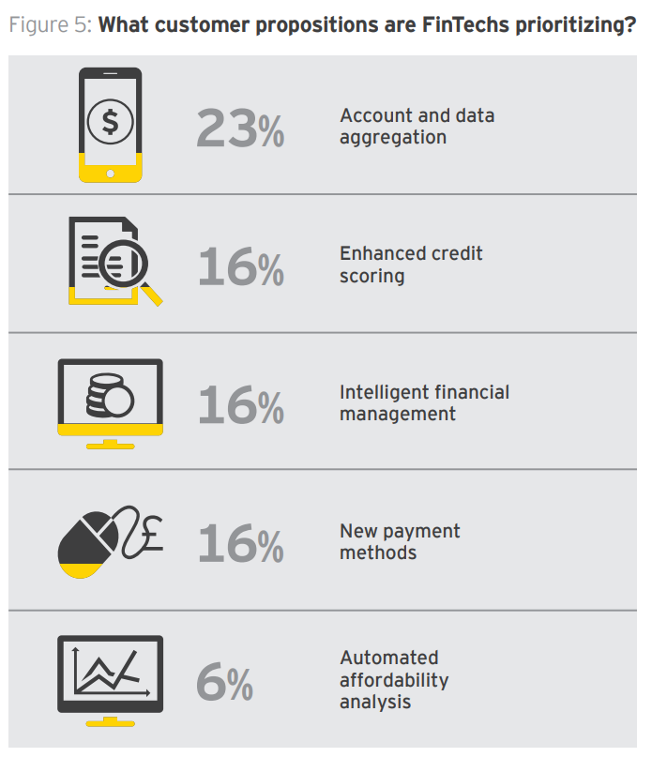 Source: "EY FinTech Open Banking Snapshot"
Open banking allows startups to access the most desired resource – customer data. No wonder 94% of fintechs see it as an opportunity. Startups can use customer data to work creatively to meet the sophisticated customer needs, while banks can provide them with an API platform to work on. It's a win-win situation. Banks can focus on discovering customer journeys in the key segments, identify what's wrong, and how to fix it. They can also experiment with new products and distribution channels. The right API strategy is the best way to achieve each of these goals. 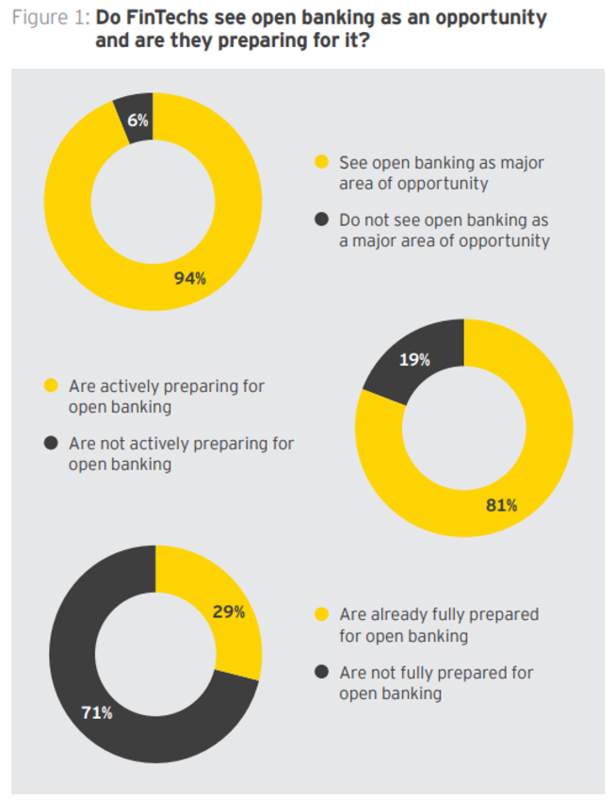 Source: "Retail Banks Must Embrace Open Banking or Be Sidelined"
What all three attitudes have in common is that they attract the best fintech talent and ideas. To remain competitive, financial institutions need to be a "partner of choice." They need to work on their own culture and provide business and technical fundamentals for cooperation with the best. Banks need to establish a hierarchy of the APIs they want to develop first, and which partners they need to engage in building their ecosystem. It all starts with identifying the right use cases. Financial institutions launch their own developer portals to cooperate with external software developers. Recently, ING introduced one in May 2018 with an API as the key feature. We look forward to increasing choice and value for our customers through a collaborative developer ecosystem, said Mark Buitenhek, ING’s global head of Transaction Services. API helps financial companies experiment with different business models and product development processes. The ecosystem in large part stays outside of the core organizational structure, which needs to remain relatively conservative to meet stringent security and regulatory requirements. What drove Citi to develop an API strategy is the recognition we cannot build everything ourselves. The world our customers live in is populated with increasingly amazing experiences made possible by mobile technology. Customers are experiencing increased convenience and personalization in all the aspects of their lives. It is all about the customer, the tech is wrapped around the customer, said Felime Greene, Regional Head of Customer Franchise Citi Asia Pacific. Retail banks must embrace open banking, but still "too many banks remain stuck in a tactical mindset focused on compliance and on fending off the risk of disintermediation", stated the authors of the recent report by Boston Consulting Group. Let's take a look at the most promising fintech API strategies. Here's a list of the most interesting API strategies in fintech. Tink provides an API for data collection and analytics that enable banks data to drive operations and services. The Swedish startup allows banks to connect to their account aggregation, payment initiation, and personal finance management services, and give the customers a new experience. The apps Tink offers can be easily built with the use of the API. Swedish SBAB used Tink to launch The Mortgage Match, comparing their existing mortgage with the bank's offer. ABN AMRO could launch a beta of Grip app personal finance manager within 90 days from contract signing. With an unbeatable time-to-market, the Grip app is one of our most successful partnerships to date, said Roland Booijen, Director of Apps & Digital Innovation at ABN AMRO. Plaid has a similar strategy. The US data aggregator has recently partnered with JPMorgan Chase. Plaid will give bank's customers access to financial apps connected with the bank through API. 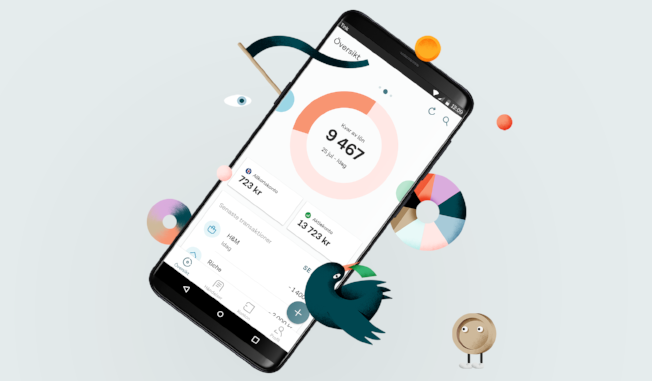 This will help customers use popular financial apps to make smart decisions with their money while giving them control over how their data is accessed and used. Tink provides an API for data collection and analytics that enable banks data to drive operations and services. MoneySuperMarket is an example of a startup that has recently pivoted as a mature public listed firm. MoneySuperMarket is a dominating price comparison website in the UK. Thanks to embracing the API economy, they were able to evolve into a direct online distributor of financial products. ING has embraced the strategy of launching different independent ventures that would focus on developing new captivating products, which would be later integrated via an API. This way, three successful products were developed: a personal finance management aggregator Yolt, a mobile wallet Payconiq, and a financial services aggregator for SMEs. By launching their own open banking ventures, ING not only introduced the API culture to their own organization but also learned how to talk with external developers through an API-centered developer portal. In the global software services market, the winner takes all. Often it's the platform provider. Banco Bilbao Vizcaya Argentaria was one of the banks that decided to give it a try as it launched the BBVA’s API Market. The platform was built specifically with the needs of the bank’s external and internal developers in mind. It offers APIs, tools, and other services that make it easy for developers to partner with the bank in commercial opportunities. There are young fintechs that have a similar strategy on their minds. Funded in 2016, TrueLayer was one of the first British companies authorized through the Open Banking program. The fintech's goal is to become the leading provider of financial APIs. They are building a platform cooperating with major banks (Barclays, HSBC Group, Lloyds Group, Santander and RBS) and fintechs, such as Zopa, Canopy, Anorak, ClearsScore, CreditLadder, BitBond, Plum, and Emma. APIs make it very easy for payment services providers for e-commerce to expand. Companies like Stripe or Adyen can focus on optimizing both the customer experience and the usage of data by businesses. Adyen offers a web-based Terminal API that can operate behind any point-of-sale (POS) system. The introduction of open banking and the PSD 2 directive proved to be a great opportunity for the development of their services. The move to a more API-ified world does provide us with a degree of validation, said Iain McDougall, UK country manager at Stripe. As a payment platform built in the world of APIs, Stripe can now position itself as the infrastructure for any new businesses looking to enter a newly open financial services sector without having to do a lot of the heavy lifting of being regulated, said McDougall. The London-based Currencycloud, a global payment platform that aims to remove all the complexity out of the process. They consider their API as the building blocks for the next international payment innovation, such as the automation of the end-to-end payment processes. The German solarisBank is a fintech with a banking license. Their API strategy is to give any business a platform to develop a financial product or a service. They cover a wide range of services: digital banking, cards, consumer lending, SME lending, payments, virtual IBAN, KYC or blockchain. We’re near the point where we don’t need banks anymore, but only banking in the background. People don’t want to do banking; they want to buy cars, buy houses, make payments to friends, or pay for services. All they need is the banking process, said Jörg Howein, Chief Product Officer of solarisBank at the Netguru Disruption Forum. The US-based Marqueta is developing an open-API platform that enables companies to create their own payment solutions and issue their own cards. They cooperate with other fintechs, such as FinanceIt, Progressive Leasing, Acima, Lendr, and Payability joined Affirm, Kabbage, and Klarna. They put a lot of effort to make the Marqeta API easy-to-use. The API uses objects to represent various concepts. A payment card is represented by a card object and a cardholder is represented by a user object. You create a new object, such as a card or user, by making a call to the appropriate API endpoint. Additionally, Marqeta API offers a test sandbox environment, where customers can create the objects required to conduct financial transactions and then simulate transactions using those objects. Two big fintech players, Revolut and TransferWise, released an open-API platform that will enable businesses and individual developers to build additional services with the use of Revolut or TransferWise. Revolut released an open API platform dedicated to business users that would like to automate banking operations, such as accounting software, while TransferWise aims at the acceleration of the services they provide. Another fintech from London uses an API to grant access to their cloud-based proprietary BaaS technology. In a similar way to solarisBank, it gives other organizations a possibility to offer white label retail banking and payment services. Using Starling’s APIs, clients can quickly integrate into the UK and European payment schemes to access Faster Payments, Bacs, and SEPA, the Single Euro Payment Area. Starling Bank has recently expanded its API Marketplace for small businesses, who can integrate their banking transactions with the cloud accounting platform. Using the bank's API startups and app developers not only can build products using the ecosystem and its data but can also instantly reach the Starling Bank's client base, becoming a Marketplace partner. When you have a selection of products, you’re creating an ecosystem where consumers can get the best value. With an all-in-one app, you’re basically asking your customers to trust that you’re absolutely the best on the market. The thing that a marketplace reverses is that you put all the offers in front of the users and ask them to trust your ranking - explained this approach Ben Chisell, Product Director at Starling Bank. In the middle: Ben Chisell, Product Director at Starling Bank at Disruption Forum London, hosted by Netguru at Level39. Countering with the Revolut’s approach during the heated discussion at Netguru Disruption Forum, Ben Chisell admitted that there are trade-offs related to marketplace approach, e.g. keeping a consistent customer experience with all third-party products connected via API. Each company may have different KYC procedures and scaling that kind of platform is not an easy task. But in the marketplace, the selection of offers produces trust. And trust adds value. We don’t know at that point which vision and strategy are better. Different fintech companies have their own beliefs and they will execute on them, Chisell added. An interconnected network of services is the future of software development, financial services, and more. The concept of APIs has encountered a perfect storm as the technology, the business environment, and regulations seem to encourage the safe sharing of customer data in order to deliver better services. The old big players in banking, investment, and insurance are being disrupted by agile startups focused on developing exceptional customer experience and entering the system at different levels thanks to APIs.